Ray Roberts, Cliffs at Red Rock Canyon, oil on canvas, 24"x36"
Towering some 3,000 feet above the high desert floor, the Vermilion Cliffs continue to awe California native Ray Roberts. 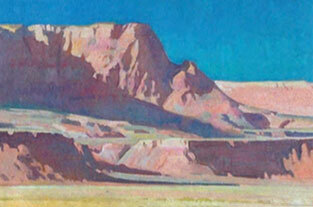 The rugged escarpment provides fodder for the award-winning artist's latest solo show titled Desert Vistas. 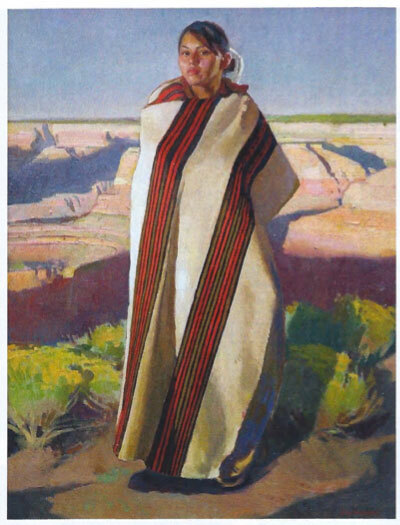 On display at Mark Sublette Medicine Man Gallery in Tucson, Arizona, the grouping will focus almost entirely on this national monument that straddles Northern Arizona and Southern Utah. "Coming back year after year has revealed to me the rhythms of the land and it has been a bit of an epiphany in seeing it," remarks Roberts. "The broad erosion and desolation of the area gives it a sense of life and being in and of itself. As strange as that sounds, a visit here by anyone will clear that right up...it can be harsh, but it is always beautiful!" For the first time in years Roberts w ill include up to 12 smaller plein air works in the show. 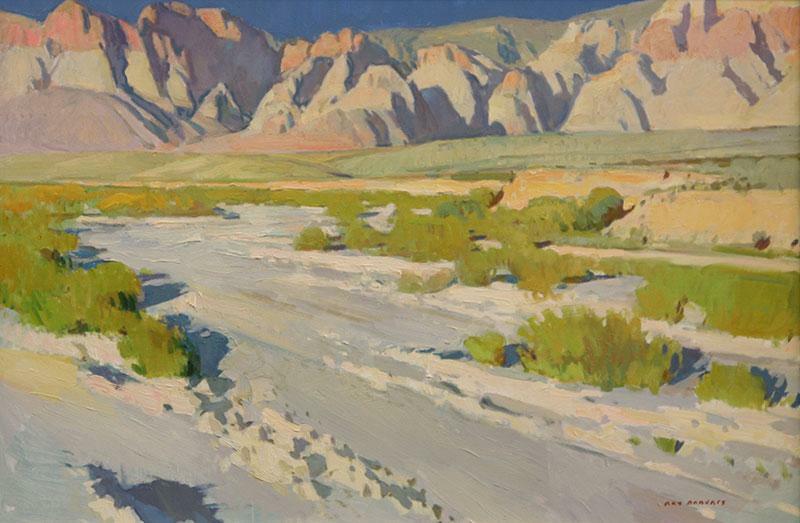 The 9-by-12-inch oil titled Side Canyon, Marble Canyon Area is such an example. "This is unusual for me. For many years my on-location pieces were studies with many of them unfinished. These new and more refined small pieces reveal my approach to gathering information I use for my larger studio works," he explains. 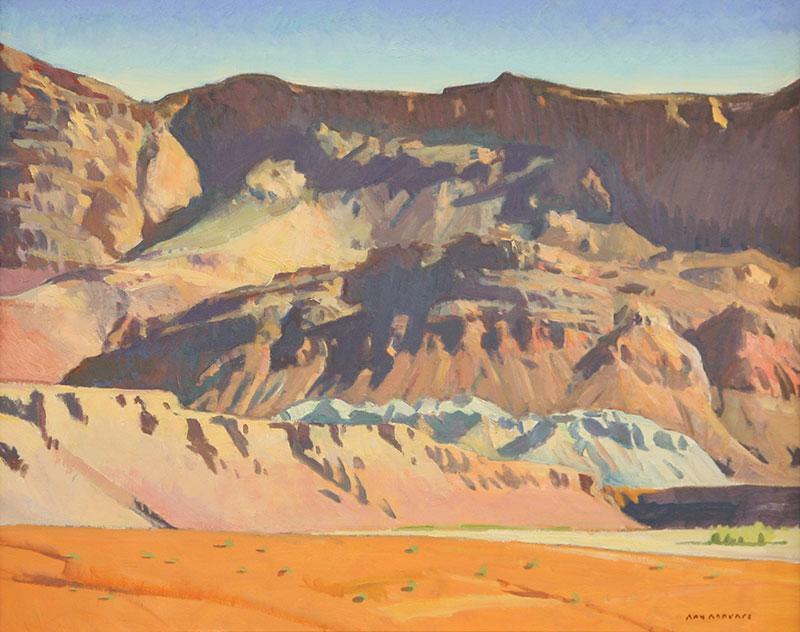 Ray Roberts, Vermilion Cliffs, oil on canvas, 20"x30"
The region's massive cliffs and high desert air provide the ideal dramatic backdrop for Roberts' landscape paintings. In Lee's Ferry he sets the stage where the Colorado River emerges from the canyon below Lake Powell. In another scene, Cliffs at Lee's Ferry, he reveals the upper cliffs not seen in the former painting. "I love dramatic light; early morning light, end of day light, anything that speaks to the excitement of the scene," muses Roberts. "And...I am always striving for perfection of shape, qualified by design, dictated by my color sense, as expressed by my artistic self. I feed off the emotional connection and it expands as I paint." Ray Roberts, Cliffs at Lee's Ferry, oil on linen, 24"x30"
Roberts regards each oil painting as an execution of a concept and each takes on its own voice. "I have, for the first time in many years, put together a collection of paintings that present my standards for my work," he reflects. "I've focused on a small area to paint in. This area is quintessential Southwest. It speaks for me as I speak of it." Ray Roberts, High Desert Warmth, oil on canvas, 40"x30"